Sylvie Martel Consulting offers an original and professionally recognized approach to trend predictions and product development. We believe successful business requires external consultation in order to maximize 3 key aspects: forward thinking, creativity and collective energy. Coaching and creative workshops to inspire and stimulate your teams. 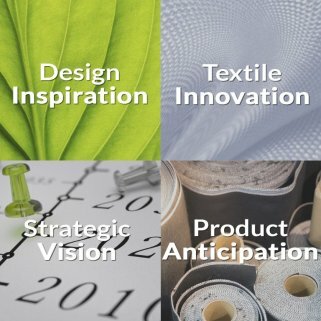 Our trend predictions services are based on multi-faceted experience and strong understanding of textile industry technologies and innovative processes. In addition to forecasting color and designs , we analyze and explore the potential of promising innovations from fiber to finishing technics. Developing product and textile collection comes with the challenge of finding the right commercial design. We help you to identify the best trend for your brand identity and to turn it into commercial success. Our focus is to offer creative patterns compatible with your sourcing resources and production standards. With a range of advisory services and workshops, we help teams to see what’s next and create smarter an boost their creativity, whether there are designers, marketers or strategic planners. Our consulting brings valuable outside perspective and a broad view of inspiring and innovative trends.